Summer tires vary greatly, so which tires are the considered the best summer tires for HD trucks? The typical summer heavy duty tire is so named because summer tires use a softer tread. This improves handling on hot surfaces. The tires that were included with the vehicle when purchased new are summer tires. The common heavy duty summer tire will be of a good quality, but high performance heavy duty tires are probably necessary for more active heavy duty trucks. High performance tires will improve the vehicle’s handling even more because they combine the effectiveness of wet and dry traction capabilities. Because of the softer tread, summer tires do not last as long as all terrain tires, but the added performance may nullify this negative. Often, the softer series summer tires will not feature a warranty because they wear so soon.Heavy duty trucks are often work trucks. This means that the tires will have to endure towing, heavy mileage and loads as well as recreational applications. These loads may have to be handled in what can be considered off road and dirt road applications. Therefore, if the truck is involved in business, quality, and high performance heavy duty tires are absolutely necessary. Commercial vehicles endure many adverse driving situations that only heavy duty truck tires can handle. In these situations, low quality tires can be a public and personal safety hazard. The Bridgestone Duravis line carries several varieties of heavy duty summer tires, as well as other performance selections. They are designed to handle very heavy loads in off road and highway commercial and recreational applications. The Duravis M700 is their premiere Duravis selection or all capabilities involved in heavy duty trucks. The BF Goodrich All-Terrain T/A KO is a very well road tested series. 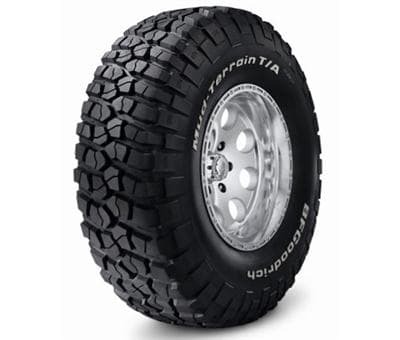 This series has been around for as long as specialty tires like heavy duty truck tires have been offered to the market. Because they are driver and time tested, the BF Goodrich All-Terrain T/A KO is the choice of most seasoned commercial truck driving veterans. They have some selections that are rated for heavy loads in the D and E categories. They are especially good for dirt and gravel road applications that extra traction will be necessary. The Michelin LTX A/T2 carries a heavy load rating of D. The Michelin LTX A/T2 is designed for heavy duty truck applications that require a lot of highway mileage. They are a summer tire, but with all terrain capabilities that can handle serious road conditions and heavy road use.